Let me tell you a bit about us and our very unconventional approach to sharing Autism. Our walk with Em and her journey to find her voice is also ever changing. We think we understand how Autism and life is for her and we get surprised with either new stims, new extremes of stims or progress forward. Let me fill you in a bit on Em and our family, and a little bit of the back story. Why are we relevant? She is one of the millions of people out there with a “hidden disability”. I wouldn’t call her disabled or handicapped but she does deal with health issues that aren’t visible on the surface. There are times that it completely shuts her down both physically and emotionally. We’ve see progress in this area. It took 11 years to get a diagnosis set that seems to be accurate. When she was younger, without a diagnosis that accurately reflected her struggles, we didn’t understand her or her needs. We didn’t have the resources to help us understand her. Kids don’t come with an instruction manual to begin with and when you have a child with special considerations and needs it can add to the frustration. You muddle through and do the best you can. You ask questions and have moments that are overwhelming. You feel inadequate, alone and like people are judging you. Add in a diagnosis and meds that don’t help you feel isolated, alone and failing. 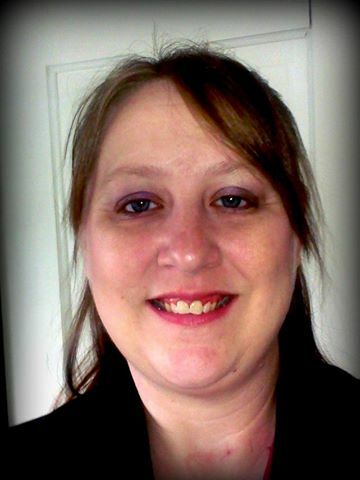 Once Emelie had an accurate diagnosis, after years of treating the wrong conditions, we were able to start appropriate treatments. Some of it included changing medications, dropping medications, adding supplements and therapies. As she started to garner the coping tools and resources she needed, she started to show us into her world. Her world turned out to be a world that shocked us and enlightened us. First there is our star: Emelie. Em has Autism Spectrum Disorder (ASD), PDD-NOS, Anxiety Disorder, Attention Deficit Hyperactivity Disorder (ADHD), and Sensory Processing Disorder (SPD). She falls on the high functioning end of the Autism Spectrum, most of the time, and often is perceived as being a sweet girl with behavioral issues. There are days though she’s not as social or communicative. Em will not hesitate to tell someone: “I have Autism.” Or “I’m Autistic” to enlighten them. She also isn’t allowed to use it as an excuse. She is allowed however to educate those around her and explain. She knows there are consequences to her actions and even if the explanation to a meltdown is sensory issues or autism, she’ll have some recourse for bad behavior, of some sort. There’s Amazing Super Dad, Matt. He’s learning as we go. He works hard and has made great progress since we got Em’s diagnosis straightened. They have come so far together that what once would have turned into a screaming match all around is now a balance of figuring out who needs what to regroup so we can deal with it. Sometimes he becomes the voice of reason when I’m so overwhelmed that I can’t see up from down. He’s also the encouragement behind Emelie’s Voice reminding both Em and I why we started to create the book in the first place. We also have Wonder Brother, Christian. He’s 16. He’s also been given the name Wonder Cousin by one of Matt’s cousins for how he interacts with kids in general. Christian has ADHD as well. He’s Em’s champion when we can’t be and while he may have a more typical relationship with her now more than ever, he is also the first one to step in if he notices something we may have missed or an overlooked trigger or when she needs someone to advocate for her. He cares for her before school and afterschool occasionally. They seem to be able to work together now whereas just a short year ago, this seemed impossible. I’m Jenn, and I like to say just the mom. I know I am more than that. I just try to keep it simple. I work part time and I keep our lives all straight by keeping track of appointments, schedules, medicines, supplements and anything else that may come up. Some days I think I’ve lost my mind. Each person with Autism has a different journey. It may be similar but at the end of the day, they all experience life uniquely just like anyone else. There is no box for kids on the spectrum. Welcome to our crazy life! Em is no different. We want to share our lives and experiences with you in hopes that we can foster a dialog of acceptance and understanding, and support for those who need it! And some days, it seems typical of a preteen girl. That’s the dilemma for some families on the spectrum. Nothing is ever typical. The fight to get them to this point, the potential for regression, the push to keep them interactive, the waiting to see if it’s a transition or a fluke keeps life exciting but never typical. Image is a beautiful picture of Emelie, with the most beautiful smile that just lights up the entire room, as she always does! I probably shouldn’t have “favorite” contributors, but when it comes to Jenn and Em, I cannot help myself. Em is absolutely one of my favorites, and I highly, highly recommend you take the time to get to know this sweet family. You’ll be so glad that you did. I surely have been blessed by my interactions with both Emelie and Jenn, and Emelie is able to help Cassius in ways that I cannot. She is incredible. To visit Emelie’s Voice Blog, Click here. It’s a great resource for all parents of ASD kiddos, especially our little girls, who are so often underrepresented in our community. If you have an autistic daughter, you should definitely get to know Jenn, and Emelie. You should read Emelie’s book as well: it will change your life, I promise. 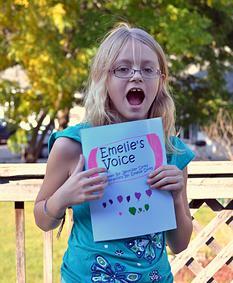 To learn more about Emelie’s Voice, the book, click here. To follow this Em’s incredible journey, and to be inspired every single day, you should check out their Facebook Page. To look at Emelie’s Voice on Amazon to purchase or download, click here. You can also find Emelie’s Voice at Barnes & Nobels, Books A Million, and Authorhouse Bookstore.